PROGRESS MAKES PERFECT. Madisen Hanson lives by this quote by Confucius, “It does not matter how slowly you go as long as you do not stop.” Madisen believes that as long as you see progress in yourself and the activities you are participating in, you are doing well. This has motivated her during her high school career and will continue to motivate her beyond her time at Valley Heights. 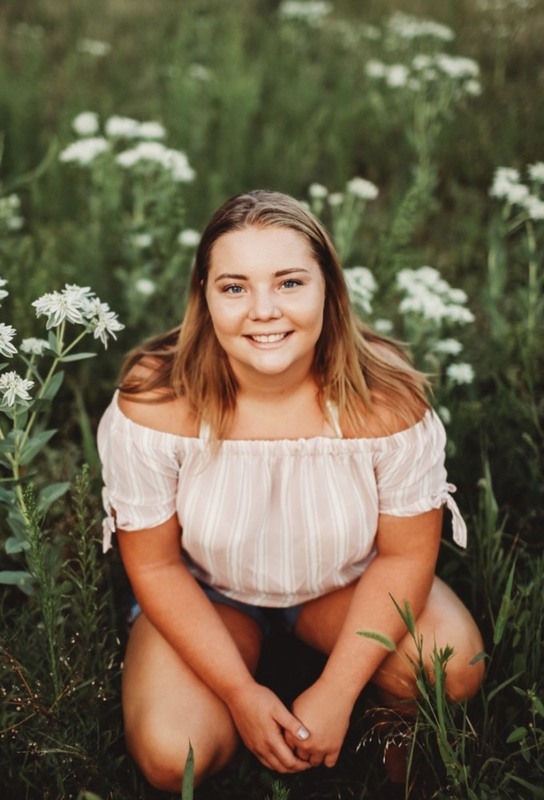 Madisen has been involved in many activities and clubs in high school including being a football manager, volleyball, cross country, basketball, track, FFA, KAY Club, All- School Play Crew, and Art Club. Outside of school, she was a part of a traveling softball team in Manhattan. As she looks back on her time at Valley Heights, she remembers her favorite memory: “In art class one day, I accidentally sprayed Jordan Yungeberg in the face with flex seal and it got on his white shirt.” One among many, this memory highlights the fun times Madisen had at Valley Heights as she prepares for her next step in life.